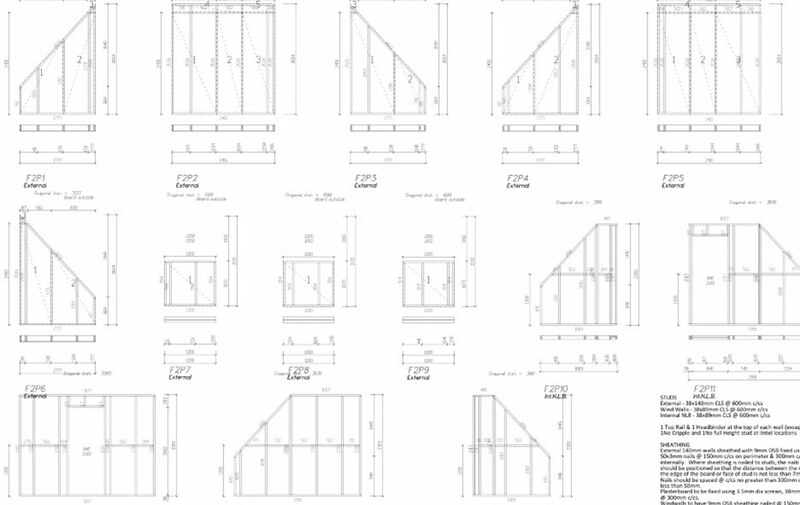 Once you have plans for your new home we can start to design the timber frame. Good design is essential when building in timber frame. It makes the whole process much smoother, saving you a lot of time and money. From the architects plans we draw up the structural calculations and point load drawings, we can then design the panel drawings, and the floor and roof layouts to suit each individual building. If you have not instructed an architect as yet then we can put you in touch with the right one for your project. At Daniels & Vincent Timber Frame we tailor the design and build to suit your own needs. All our timber frame products exceed the standard regulations for home efficiency but if you want your home to be even more efficient then we can design that into the build. If you require higher acoustic performance,we can look at ways to reduce the impact of transmitted and airborne sound. We design in features to make the build run as smoothly as possible. Great thought is put into the on site installation and the more we can do before delivery the less we need to do on site and the quicker your house can be ready. Properly designed floor and roof cassettes can seriously speed up erection. Simplified air tight details and pre-fabricated dormers all help accelerate build times and get your house watertight as soon as possible.